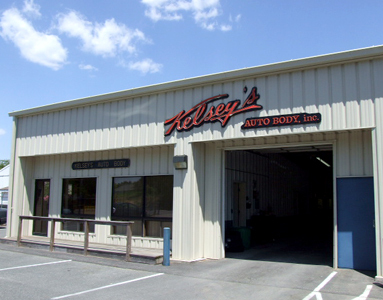 Kelsey’s Auto Body, Inc. is a family run full service collision repair center. We pride ourselves in providing the highest quality repairs along with the best customer service. With one of the most experienced crews in the industry, your vehicle will be repaired in a timely manor with a 100% lifetime guarantee on paint and body work. Whether if it is buffing out a small scratch or repairing damage from a major collision you will be satisfied with your experience with us. We work with all insurance companies and provide claim assistance throughout the repair process. We conveniently have rental cars on site and in most cases can direct bill to your insurance company. 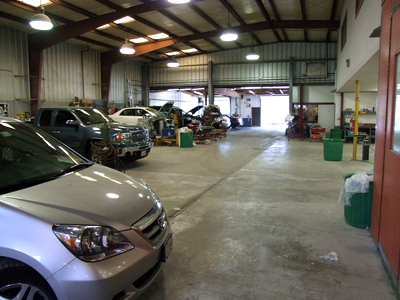 In our 10,000 square foot facility we utilize the latest auto body equipment to ensure a quality repair. With a computer estimating system, Car-O-Liner Vision frame machine, two down draft paint booths, Hunter alignment machine and wheel balancer, we have all the tools necessary to completely restore your vehicle to pre-accident condition. We also service and recharge air conditioning systems, replace all types of auto glass and perform four wheel alignments.